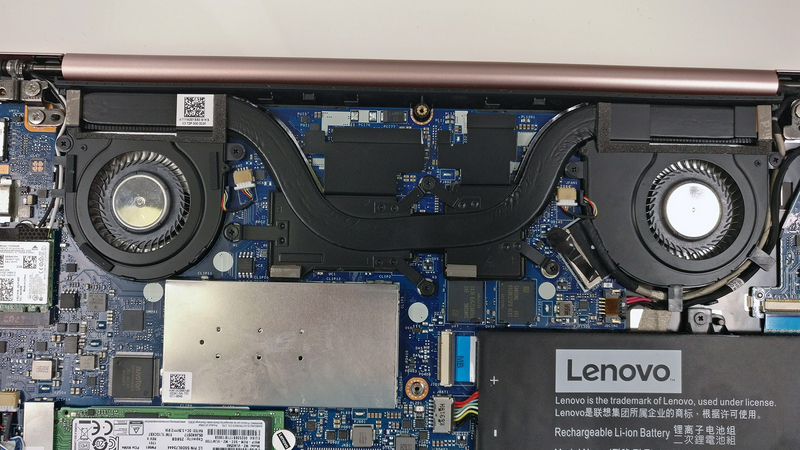 Like every ultrabook out there, the Ideapad 720s doesn’t have a dedicated service hatch but luckily, this doesn’t mean it’s hard to upgrade or clean. You just need to remove all the screws around the bottom and then gently pry it up with a thin plastic tool. This will give you access to all of the internals. 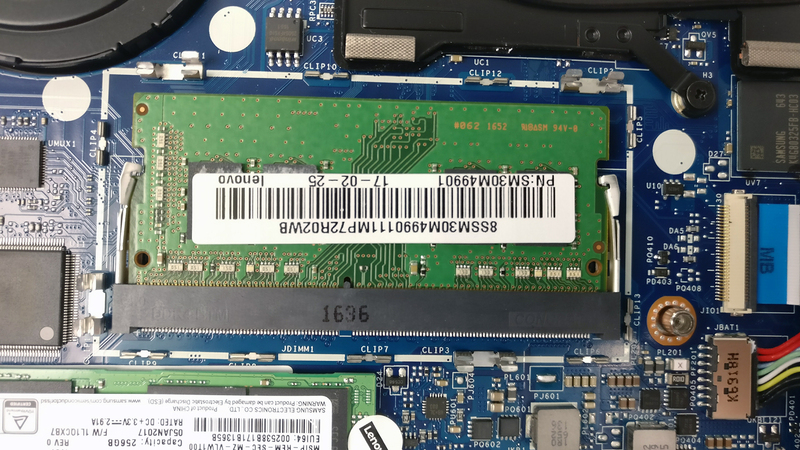 As expected, the laptop comes with an M.2 SSD slot only. 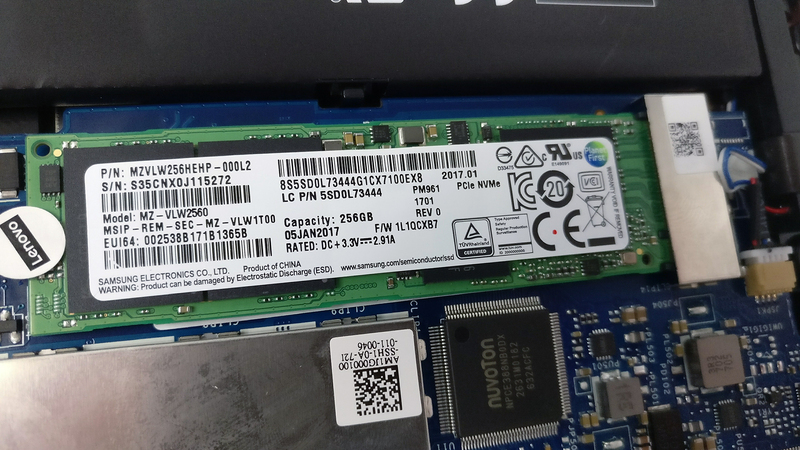 The drive in our case is Samsung PM961 M.2 PCIe NVMe SSD with 256GB capacity. The motherboard holds only one RAM chip slot and there are no soldered chips. 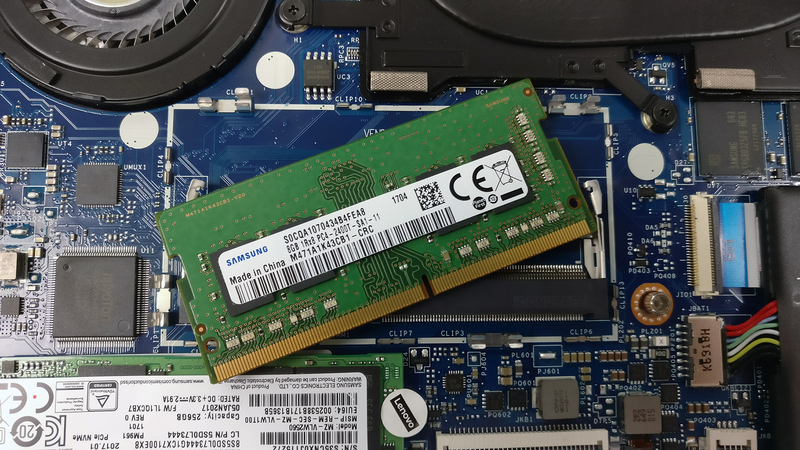 The unit we’ve tested came with a Samsung 8GB DDR4-2400 chip. But if needed, you can go up to 16GB of DDR4-2400. Also, be aware that the chip is placed under a small metallic plate but to remove it, you will have to loosen the clips holding it. The Wi-Fi card is right next to one of the cooling fans and it’s Intel 3165NGW. 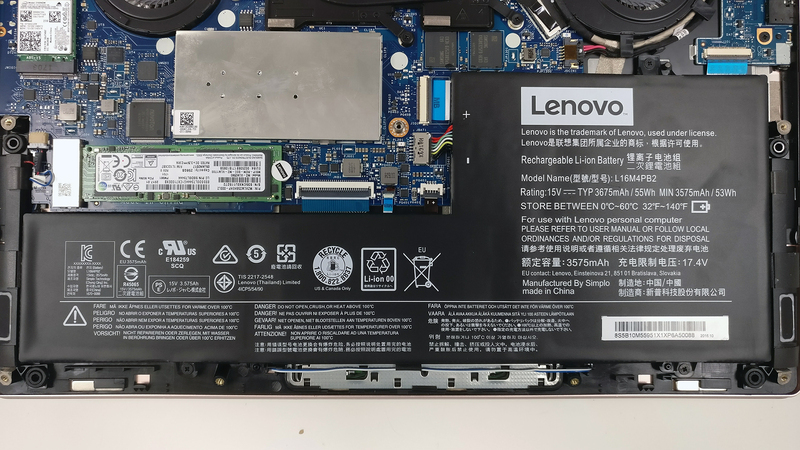 Interestingly, the shape of the battery is unusual and makes the most out of the internal space. It’s rated at 55Wh and delivers decent battery runtimes, according to our tests. We were quite surprised by the cooling design because it consists of not one but two cooling fans and one big heat pipe going across both chips’ heat sinks. But apparently, this isn’t enough to keep the hardware cool under load. 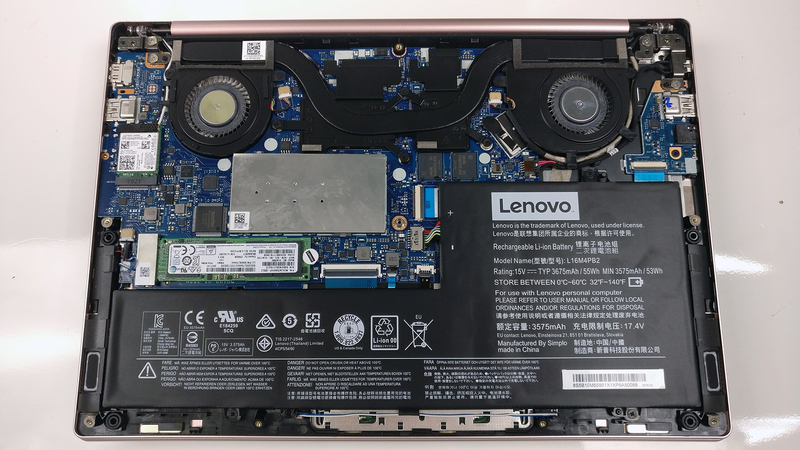 The full review of the Lenovo Ideapad 720s can be found here. 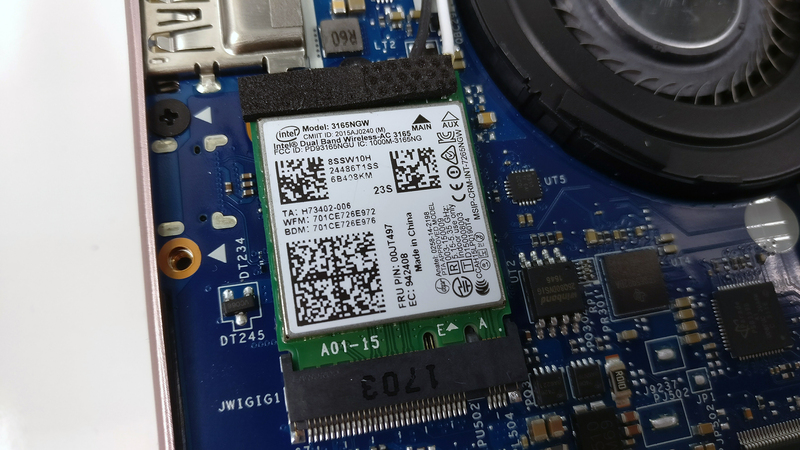 The ssd drive can be replaced with 512 gb? Looks like it can but there’s a seal so probably you void the warranty… I want to do the same. 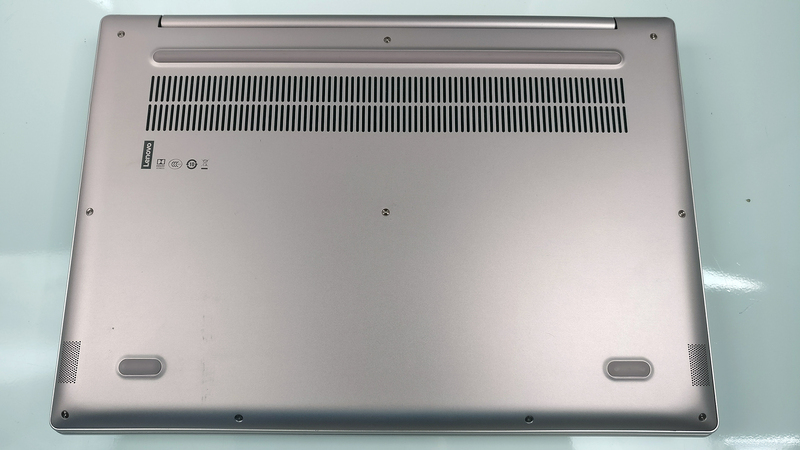 Which TORX screwdriver did you use to open the laptop? How do I remove the small metallic plate covering the RAM slots?